Management 4.0 Certification Training Course Guide. A Management 4.0™ Certification helps to grow your career. Here you can find out how to get your Management 4.0 Certification. 3 What is Management 4.0 and Why You Should Take Your Management 4.0 Certification? Management 3.0 is a book by Jurgen Appelo (Netherlands), a workshop, and an approach to inspire team members, team leaders, development managers, IT directors, project managers, Agile coaches, and HR managers, who face the challenge of transforming their organizations to an Agile mindset. It does that by providing guidance and practices, and by applying new thinking to the craft, art, and science of management. What is Management 4.0 and Why You Should Take Your Management 4.0 Certification? Management 1.0 was simply about ‘doing the wrong thing’, by treating people like cogs in a system. Management 2.0 was about ‘doing the right thing in the wrong way’, with good intentions but old-fashioned top-down hierarchical initiatives. Management 3.0 was about ‘doing the right thing’ for your team, involving everyone in improving the system and fostering employee engagement. Management 4.0 is really the future of management and goes one step further with ‘creating the right harmocracy’ to build new innovative products, services or processes and successfully achieve your company goals. It is not a methodology as such but uses some principles (7 principles) which defines organization rules and people behaviors that are key for change management and reach out the goals. 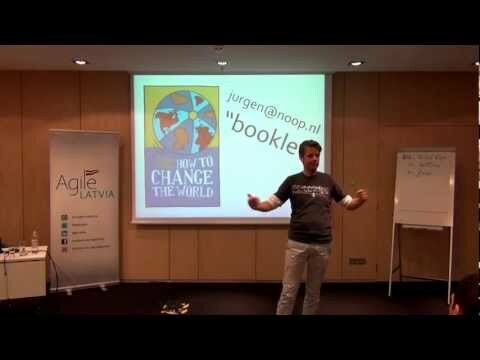 In the above workshop by Jurgen Appelo (author of Management 3.0) you can find in the minute 29 the dashboard.